These gummy bears are the largest in the world and are made right here in the U.S. 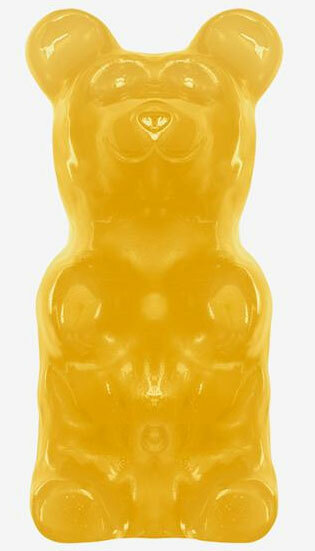 The World's Largest Gummy Bears are 1,000 times larger than the average gummy bear. Each gummi bear is about the size of a football which makes them 90 servings! Every bear is sealed and comes in a full color designed see-thru gift box. Be sure to see our full line of Packaged Candy if you're looking for more great treats.